We’ve been in business for a full year now and it’s high time for thanks and a bit of reflection. Making it this far is not a given in the retail and restaurant world. We’re where we are because of the immense amount of support that we’ve received; we have a great team that goes above and beyond (think start-up rather than café), highly conscientious tradespeople, a city that has wanted us to succeed, local businesses which have been so great in collaboration and promotion, the coffee industry and its craftspeople, and a great set of customers, many of whom have metamorphosed this past year into cheerleaders, advisors, and friends. I’m immensely proud of what we’ve become and the direction we’re heading, and am truly grateful to all of you. However, the first year was not without its bumps. Our business model is complex: we’re at times a restaurant, at times a quick-serve concept, as well as a roasting business. Building systems and rational procedures while growing requires continuous effort, experimentation and a bit of bloodshed. I have learned so much in so many areas – which is part of what makes running your own business so engaging and fun. 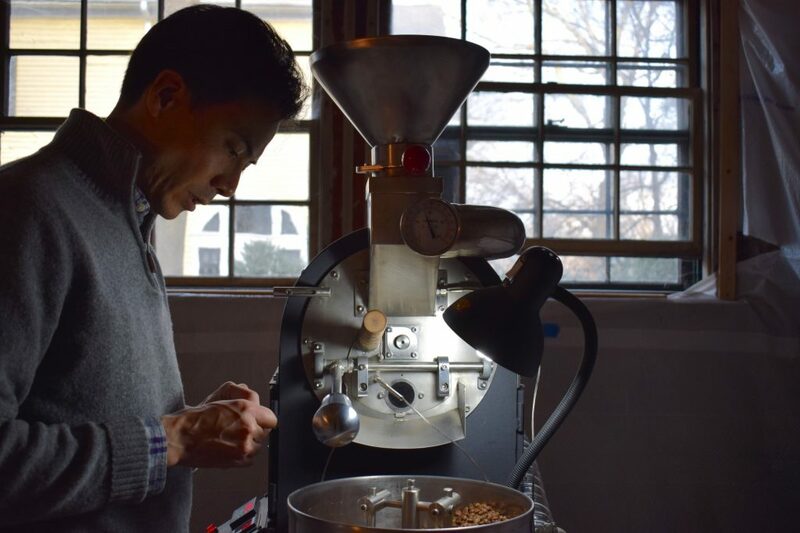 And, in what is perhaps the greatest testament to where we are and the momentum with which we enter year two, I truly look forward to coming to work every day, and am even more passionate about coffee and the possibilities of small business than ever before. In terms of reflection – and in the spirit of avoiding repeating mistakes – I’m turning this into a listicle with the top ten concepts I’ve learned or that have been beaten into me this year. Some, if not all of these have probably been categorized and expounded upon by people much more qualified than me. 10. A stitch in time. 9. Focus on the most impactful things first, those things that the largest number of customers value. 8. Diversity in people and opinions strengthens the organization and leads to better informed, more thoughtful decisions. 7. Everyone on the team has good ideas. 6. Efficiency is paramount. As is consistency. And quality can’t exist without the first two. 4. Business is about reality, not about “should be”. 3. Staff management, staff management, staff management. 2. Continuously evolve and run from dogma. 1. Customer service and hospitality are the most important things we offer. Thanks so much for carrying us this far! We’ve learned a huge amount as a business and have made so many improvements. We’re all full of enthusiasm and have many ideas for year two – stay tuned!